Sup!!! This red enough for Chinese New Year? And then all the goodies and chit-chatting and alcohol and lotsa snacking for everyone else. 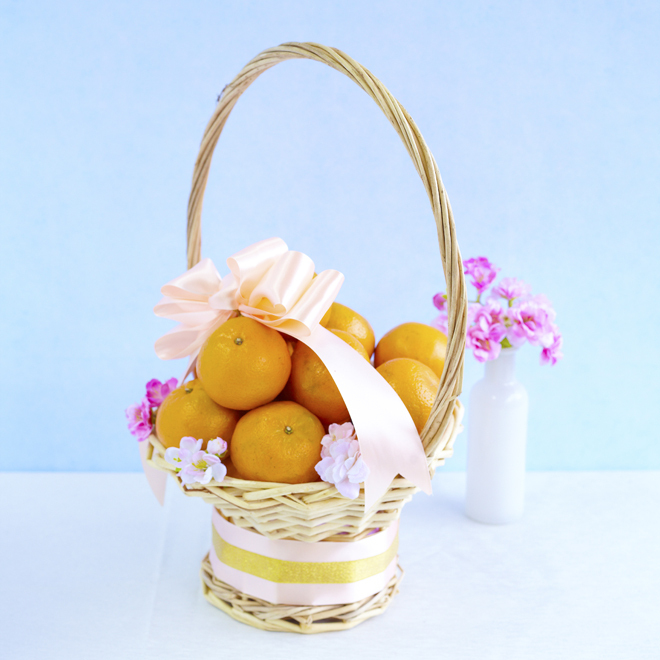 But a lot more than that, Chinese New Year is also a good time for business associates or family friends to send gifts and hampers, to show appreciation for a good year before and mainly to show sincerity and keenness for a even better year ahead! Haha! Here is where i push Little Thoughts and you just have to bear with me! Hahaha. But hey, our pictures are real nice (Thanks to Josh!!!) so.. 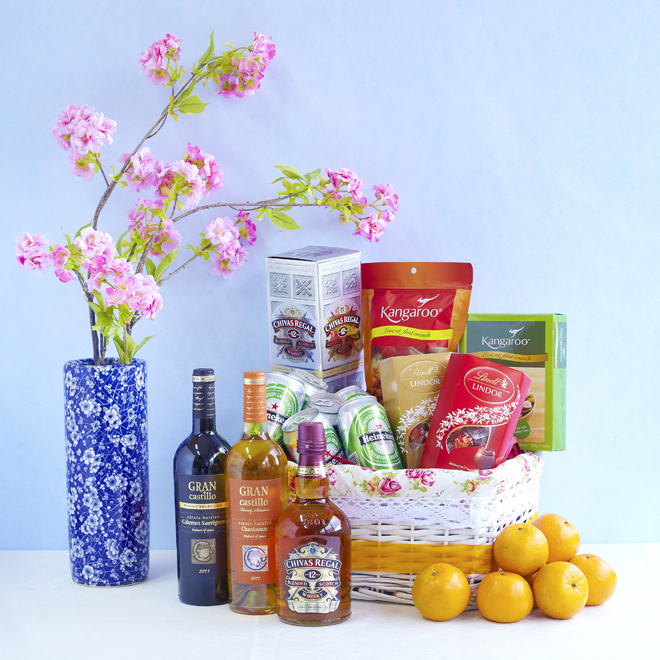 Some of the Chinese New Year hampers you may find on Little Thoughts. A hamper best suited for a house of boys and men!!! Beer, cracker and nuts!!! AND YOU KNOW KANGAROO NUTS ARE THE BESTTTT AND YUMMIEST NUTS IN THE MARKET!!! My favourite hamper of the lot! ^.^ With two bottles of wine, Godiva chocolate, lotsa Kangaroo nuts and FEATURED PRODUCT - Mere Poulard butter sables!!!!! YUMMIEST EVERRR!!! It's from France and i vouch, it's damn gooood. One of the reason why i enjoy doing Little Thoughts.. All the sampling O.O =X Hahaha. I LOVE IT. 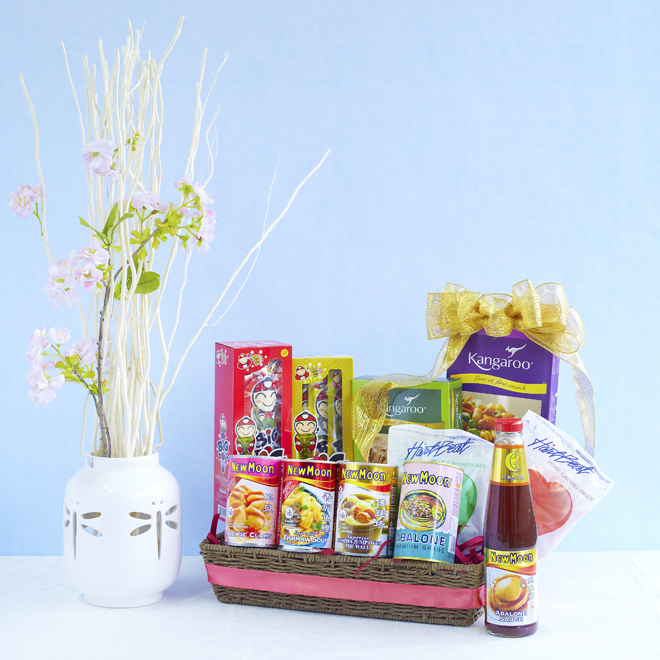 If you're looking for something more traditional.. Other than the super luxurious blockbuster hampers, there's also presentable ones like this with Pacific Clams, Fish Maw, Buddha Jump Over the Wall and Abalone along with other snacks and goodies! 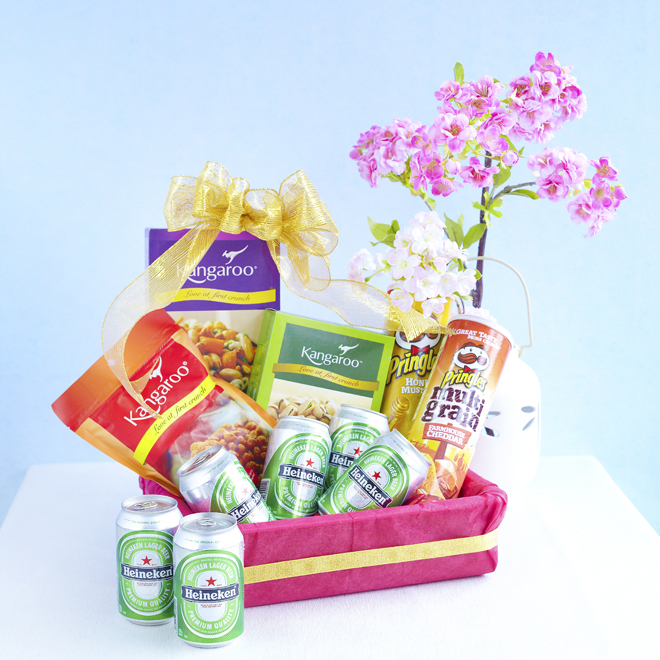 One of the many other hampers that we have that includes hard-liquor O.O These are more for business i guess? We have a lot more selection so please take a look at Little Thoughts site! 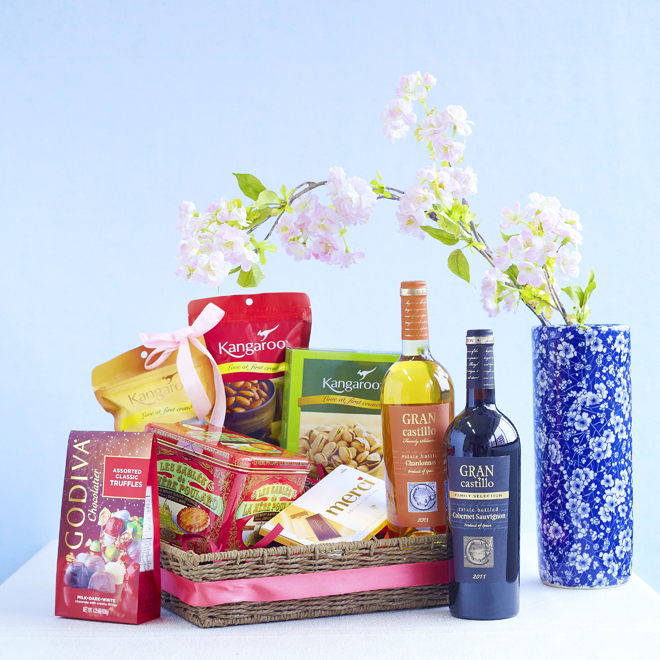 If your company / you would like to send a Chinese New Year hamper, please contact us. Okay lah, Sunday don't bombard you with too much info. Lol. How about my camho pic. Okay i stop. Haha. Okay okay! I go back to pack my room dee. So jealous of your nose in these pics, lol! I wish my nose was that straight. Also, really like your makeup here. Do you still do makeup tutorials, cause I'd like to learn how you did it? Lola, plastic surgery gets the job done for me haha. I will do a video soon okay! Sophia, YSL Monochromatic or smth! Many people said if it's your first year of marriage celebrating CNY then can't give angpaw. So actually you don't ve to give angpaw this cny . Hi qiuqiu can you share with us on your girly make's double eyelid stickers? I actually bought both series that you have and I don't know if it's because I already have double eyelids or whatnot, but when I put the tapes, they don't make a difference! I want to create the high crease kind of look so please advise me! Thank you!